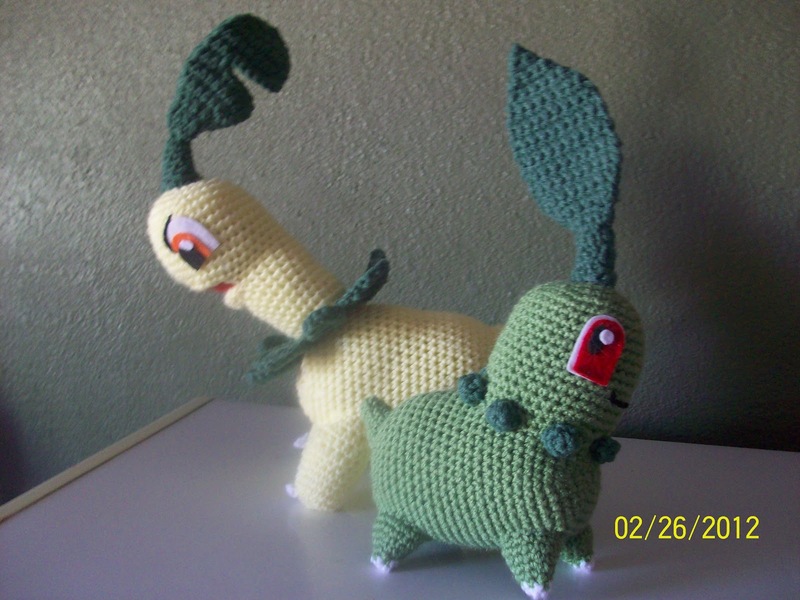 I just finished my next evolution group.....Chikorita, Bayleef and Meganium. For the patterns for Chikorita and Bayleef, I used http://wolfdreamer-oth.blogspot.com. Thank you for the great patterns. For Meganium, I used Bayleef as a base and modified fron there.